Putting together a list of excellent Must read books on Training and Development and on any subject is always a highly subjective exercise. Nonetheless it is often useful to try to sort through the clutter and at least try to assemble some worthy nominations based on a book’s quality or popular appeal (and all the books on this list have regularly topped the best selling and popular lists internationally). 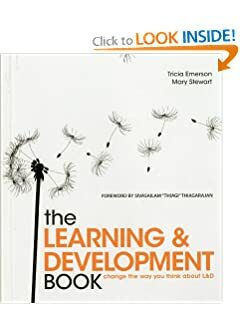 The list of Top 20 of the best books on Training and Development below includes only those written in the last 10 years. The list also includes several excellent books that are in their 3rd, 4th and even 5th printing in this time frame. The top 20 list therefore contains several veteran authors who have written many books on Training and development or adult learning. These includeMalcolm Knowles, Sharan B. Merriam, Rosemary S. Caffarella and Donald Kirkpatrick. The top twenty list below is rendered in reverse date order. A short description of the book is provided but much more information can be obtained by clicking on the book image (which takes the interested reader to the www.amazon.com page for each book). 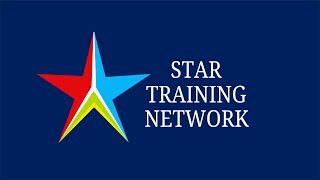 Training and Development presents a step-by-step approach to developing training programs organized around the Needs-Centred model of training. 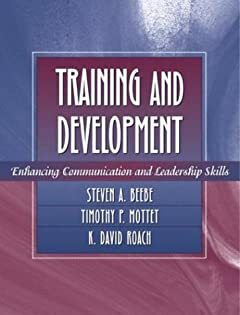 This book suggests that every aspect of developing a training program should be based upon trainee needs. It includes application and discussion questions at the end of each chapter, offering readers the opportunity to put principles and skills to the test. It also provides readers with examples of needs assessment questionnaires, task analysis, training plans, and other tools that can be used as models when planning their own training programs. It has been estimated that 70 percent of employee development takes place through informal learning, rather than through formal learning events. 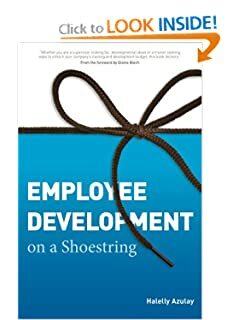 Employee Development on a Shoestring offers insights and lessons for leveraging non-training activities for on-the-job employee development. It therefore offers specific implementation techniques for developing motivated, engaged employees in today’s “do more with less” business environment and acts as a tool kit for any employee developer including: Step-by-step guidance for initial goal-setting, templates, worksheets, checklists, ways to capitalize on development ideas that are easy to implement immediately and cheaply, and the hidden value of job rotation, stretch assignments, and special teams. 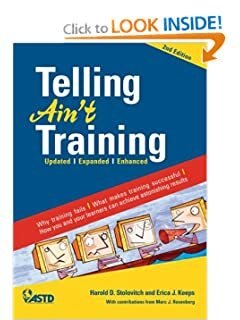 First published in 2002, this book is full of training myth-busting research and ready-to-use tools, delivered in a light hearted and entertaining style. This new edition has been updated, expanded and enhanced to reflect almost a decade of progress. This is a book that faithfully practices what it preaches, engaging the reader from page one and immediately involving them in the first of many try-it-yourself exercises in learning. Products, technologies, and workplaces change so quickly today that everyone is continually learning. Many of us are also teaching, even when it’s not in our job descriptions. Whether it’s giving a presentation, writing documentation, or creating a website or blog, we need and want to share our knowledge with other people. But if you’ve ever fallen asleep over a boring textbook, or fast-forwarded through a tedious e-learning exercise, you know that creating a great learning experience is harder than it seems. 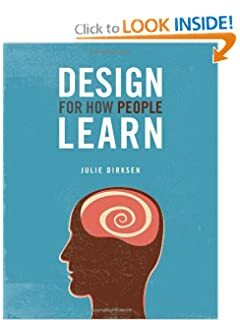 In this book the authors describe how we can all use the key principles behind learning, memory, and attention to create materials that enable an audience to both gain and retain the knowledge and skills being shared. The late Malcolm S. Knowles, Ph.D., was one of the leading authorities on adult education in the second half of the twentieth century. He wrote the first major accounts of informal adult education and the history of adult education in the United States, authoring more than 200 articles and 18 books. He is famous for his adaptation of the theory of Andragogy as a conceptual basis for adult education and learning, and was a significant force in reorienting adult educators from ‘educating people’ to ‘helping them learn’. This update of a pioneering classic contains all Knowles’ original chapters alongside a newer second part by Elwood “Ed” Holton and Richard A Swanson charting the advancements on these core principles. A third section includes selected readings from previous editions to illustrate the theory’s evolution, as well as important articles from other key experts around the world for a comprehensive view. This book was written for the experienced, L&D professionals looking for ways to be more effective. The insights in this book are meant to help when you feel stalled. This book gives you simple ideas and concepts to illustrate these needs and illuminate learning and development efforts for you, your clients, your teams and your company leadership. L&D is simple. Chapters are written to be short and easy to digest. Each contains just one “nugget of wisdom” from years of learning and development consulting experience. Each chapter is self-contained, so read one or read them all, in any order you like. In spite of the proliferation of online learning in higher education, creating online courses can still evoke a good deal of frustration, negativity, and wariness in those who need to create them. 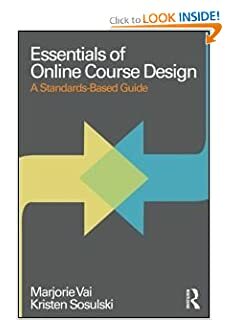 Essentials of Online Course Design takes a fresh, thoughtfully designed, step-by-step approach to online course development. At its core is a set of standards that are based on best practices in the field of online learning and teaching. Pedagogical, organizational and visual design principles are presented and modeled throughout the book and users will quickly learn from the guide’s hands-on approach. The course design process begins with the elements of a classroom syllabus which, after a series of guided steps, easily evolve into an online course outline. Learning professionals are finding success applying game-based sensibilities to the development of instruction. This book shows how to design online instruction that leverages the best elements of online games to increase learning, retention, and application. 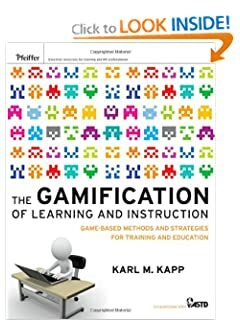 It explains how to match different game strategies to types of learning content for the right learning outcome and discusses how gamification techniques can be used in a variety of settings to improve learning, retention and application of knowledge. Supported by peer-reviewed studies and examples from corporations who have adopted game-based learning successfully, the book illustrates how combining instructional design thinking with game concepts can create engaged and interactive learning experiences across a variety of media, from online to face-to-face. 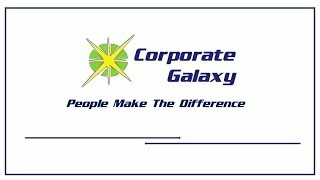 While upbeat lingo abounds about ‘complementing strategic objectives’ and ‘driving productivity’, the fact is that most training does not make a significant enough impact on business results, and when it does, training professionals fail to make a convincing case about the value added to the bottom line. The vaunted ‘business partnership model’ has yet to be realized – and in tough economic times, when the training budget is often the first to be cut, training is on trial for its very existence. Using a courtroom trial as a metaphor, “Training on Trial” seeks to get to the truth about why training fails and puts the business partnership model to work for real. 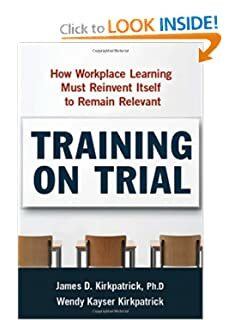 Readers on both sides of the ‘courtroom’ will learn how to stop viewing training as a cost center, and bridge the gulf between what learning functions deliver and what business units need to execute their strategies. “Training on Trial” provides a new application of the Kirkpatrick Four – ‘Level Evaluation Model and many tips and techniques that allow lessons learned to be put into action now. Whether you’re an HR or OD professional or work in a training department, learn to apply the principles of follow-through management within your organization in the new edition of this bestselling resource. 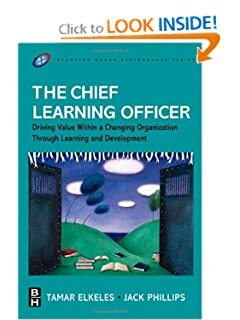 Incorporating new research on learning and learning transfer, along with new case studies, interviews, and tools, this edition shares guidelines, proven in practice by many Fortune 500 companies, on how to design comprehensive learning experiences in leadership and management, sales, quality, performance improvement, and professional certification. You’ll discover the theories and principles underlying the approach, as well as the practical methods, tools, and roadmaps for bridging the “knowing-doing” gap. 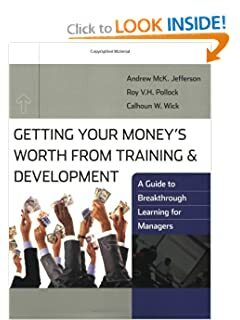 This book fills a need for trainers, participants, and managers by providing a practical guide on how to get the most from a learning and development program. The book offers proven tools that help training participants get the most from the programs and includes the tools necessary to the transfer and application of critical new learning. The book explains how to create an environment that supports the participant’s successful transition from program learning to producing valuable results. The tools and suggestions are a formula for success that will add value to virtually any learning and development initiative. With a globally-aging workforce, organizations are reexamining adult learning theory and how it is applied to employee development. Adult Learning Basics addresses individual learning competencies, organizational learning climate, and technology-related issues as they affect the adult learning process. 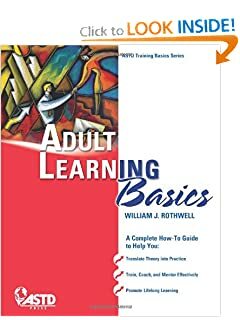 Author, William J. Rothwell, a renowned learning expert, simplifies the complicated and often academic subject of adult learning. He defines the seven kinds of adult intelligence and provides the necessary background for successfully addressing the different learning styles for maximum benefit. 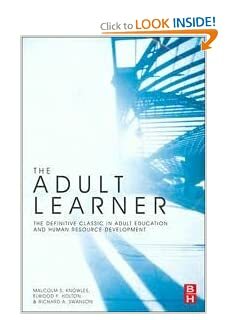 In this updated landmark book, the authors have gathered the seminal work and most current thinking on adult learning into one volume. 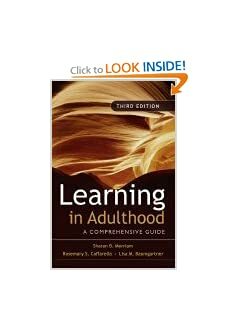 Learning in Adulthood addresses a wide range of topics including: Who are adult learners? How do adults learn? Why are adults involved in learning activities? How does the social context shape the learning that adults are engaged in? How does aging affect learning ability? 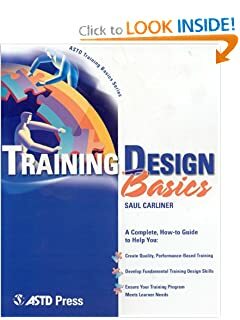 First introduced in 1998, this book strikes a balance between research and real company practices and provides readers with a solid background in the fundamentals of training and development such as needs assessment, transfer of training, learning environment design, methods, and evaluation. The book is organized into five different parts. Part I focuses on the context for training and development and includes a chapter devoted to strategic training. Chapters in Part II focus on needs assessment, learning theories and program design, transfer of training, and training evaluation. 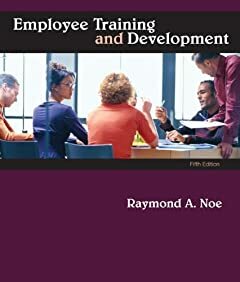 Part III focuses on training and development methods and includes chapters devoted to traditional training methods, e-learning and the use of technology in training, employee development, and special issues in employee development, such as managing diversity, succession planning, and cross-cultural preparation. Chapters in Part IV cover career issues and how companies manage careers, as well as challenges in career management, such as dealing with work-life conflict, retirement, and socialization. 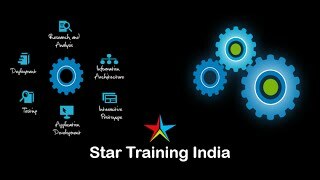 Finally, Part V provides a look at the future of training and development. 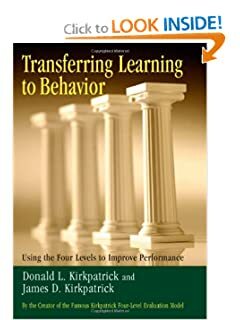 Since its creation in 1959, Donald Kirkpatrick’s four-level model for evaluating training programs – reaction, learning, behavior, and results – has become the most widely used approach to training evaluation in the corporate, government, and academic worlds. However, trainers today are feeling increased pressure to prove whether instruction is worth its cost. And calculating and presenting results (Step 4) becomes tricky when, despite training, workers aren’t fulfilling Step 3: applying what they’ve learned to their behavior. This book takes on this age-old challenge, first examining why learned concepts don’t make it into practice, then offering solutions that will work in the real world. Coauthor James Kirkpatrick, a training practitioner, introduces five prerequisites that help an organization achieve ultimate training success. 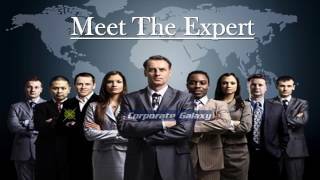 He includes practical examples (such as Toyota and Nextel) from his own work, plus 12 best-practice case studies. 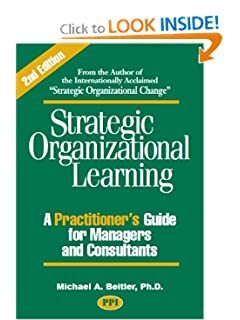 The second edition of this popular book is written by a practitioner who is internationally known for offering practical guidance to senior executives, HR directors, consultants, coaches, and trainers who are responsible for organizational learning and leadership development. In this book, you will learn: How to promote and reward self-directed learning. How to capture and transfer critical knowledge. 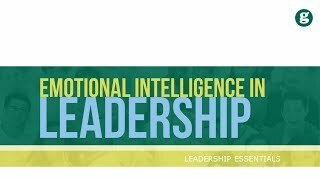 How to dramatically improve leadership and professional development. How to build a corporate university that will provide an “umbrella” for strategic learning. How to meet the learning and performance challenges of the 21st century. Knowing how to design effective training instruction is a core competency for every trainer. Here’s a down to the basics title that keeps its focus on the bottom-line skills of the design craft beginning with planning and need analysis; to writing, designing, and evaluating course materials; to marketing and administration. This title also shows you how to put together quality, performance-based training that will be delivered in a classroom setting. 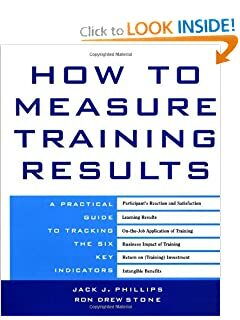 There are many books that try to help training programs justify their existence and quantify their value to the corporation. Of those I have read, I think this one comes closest to having a workable and solid program for capturing the value training creates. I also like the sensible approach the authors take to the cost and time such measurement programs take. So, there are programs of short duration and of limited value that require one kind of measurement (maybe just smile sheets) where other, expensive, long, and strategic programs really are intended to produce long term value. You need to measure its effectiveness so you can document the value your training program added to the company. The authors have a five level process for information. Levels 1 & 2 are the things you collect during training. Levels 3 & 4 are collected (and measured) after training. Level 5 is calculating the return on investment by using the information collected in levels 1-4 plus their monetary values and the collection of cost data. Robert O. Brinkerhoff is Professor of Counseling Psychology at Western Michigan University. An internationally known speaker, he has written several books on organizational training and measurement. 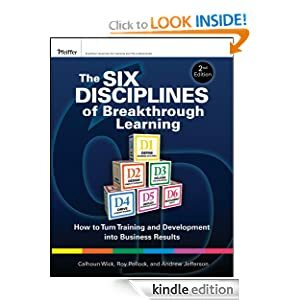 In this book, Brinkerhoff and his co-writer Anne Apking suggest that every organization should seek to provide its employees with learning and development opportunities that are both targeted to their individual needs and which produce measurable and worthwhile business results. 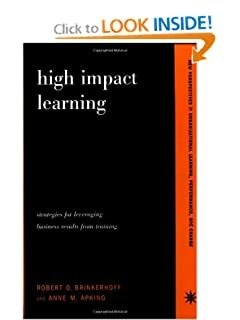 In High Impact Learning, authors outline a comprehensive, proven, and practical approach for bridging the gap between employee and organizational goals and launching training initiatives of visible and lasting impact. As we said at the outset, this Top 20 list is a subjective one. However, it does offer considerable diversity of reading material (from the highly academic to the heavily anecdotal) and therefore offers great insight into the critical subject of Training and Development theory and practice.